The study of the pathology of the aorta must necessarily take into account the role of biomechanical stress that continuously impact on the biology of the cellular and molecular components of its wall. In mammals, the circulation requires a highly organized system, in which organ-regulated directional blood flow is propelled through the conductance arterial tree with a defined wall structure, by the pumping action of the mammalian heart. A high blood pressure is therefore a compulsory biomechanical stress in human aortic biology. 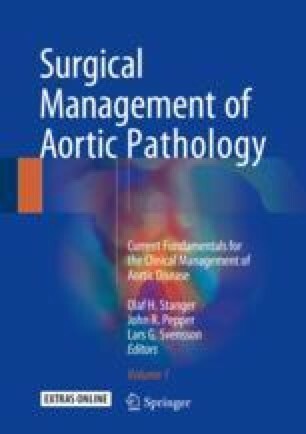 Fluids (radial convection) and particulate components (collision) play different and complementary role in the determinism of aortic pathologies and the relative complications linked to biomechanical stress such as atherosclerotic and aneurysmal diseases. Hemodynamics in the phylogenetically selected, highly pressurized and branched arterial tree is indeed the most important common denominator of all arterial pathologies. Understanding the role played by biomechanical stress is therefore crucial for researchers and clinicians working within the field of aortic diseases, and nothing makes sense in the arterial pathology, except in the light of hemodynamics.